The Connect Air range will make a design statement in the bathroom with it's bold and square geometric lines. 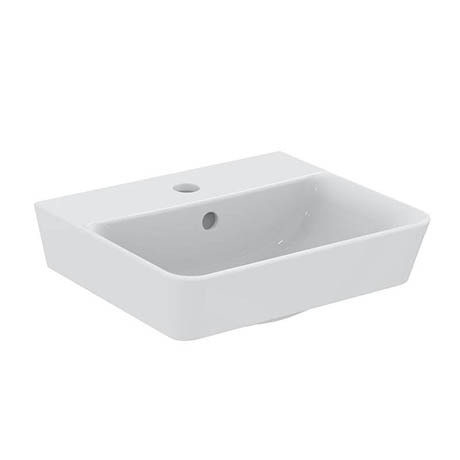 This handrinse basin is manufactured using high quality vitreous china and features a single tap hole and built in overflow. It's compact design makes it ideal for smaller sized bathrooms. Dimensions: (W)400 x (D)350 x (H)150mm approx.